The New Mad Box: A Slightly Mad or Genius Idea? When console news comes to the forefront, people tend to expect something from a major company. Maybe a new system from a Microsoft, Sony, or Nintendo. If someone really wants to get into the weeds, maybe speculation about something from Sega or Atari. The last thing you expect a recognizable, but less notable, developer claiming it is preparing a new system for a few years from now. That's exactly what a developer named Slightly Mad Studios said, though. It claims it is making a Mad Box console. So, how does the outlook seem for such a thing? Could such a platform have potential? First, let's think about the company that says it is putting out the Mad Box. No disrespect to Slightly Mad Studios, but it is hardly a major player in the video game arena. It was founded in 2008, making it only about 10 years old. In that time, it has made eight games. All of these games were racing games, with varying degrees of success and complexity. Titles like its Need for Speed: Shift and two Project Cars installments were fine. Red Bull Air Race the Game was a free advertisement, which should tell you a lot about how it played. Test Drive: Ferrari Racing was not great. This is to say, this is not a company like Ubisoft, EA, Activision, Warner Bros., or Sega saying it is getting into the console game. This is a smaller developer known for a certain sort of game claiming it will have a quality, powerful system around three years from now in about 2022. It is not like we are hearing from a large studio with a storied history and proven range discussing a new platform. i would dare say an announcement like this would have more in common with the recent attempted Atari VCS, Ouya, and Intellivision. It is a novelty, but one that doesn't exactly inspire confidence at its first descriptions. Especially since, as Slightly Mad Studios CEO Ian Bell told Variety, there are no plans for exclusive games. Bell's exact quote was, "We think exclusives are ‘exclusionary’ but given that we’ll be shipping a cross platform engine to all developers it will be their choice. As of now we have no plans to pay developers ‘incentives’ to exclude other hardware vendors." Which means you would be buying a whole new and different console which would (hopefully) have all of the same games already available on other systems you might own. It seems a little counterproductive, since one of the main reasons for picking one system over another is the possibility of exclusives. If there is nothing just for that platform, then what is to keep someone from sticking with a ecosystem they are familiar with and that already has all of their existing friends. It might just be me, but I can't help but think of a Mad Box as being akin to the Valve Steam Machines. 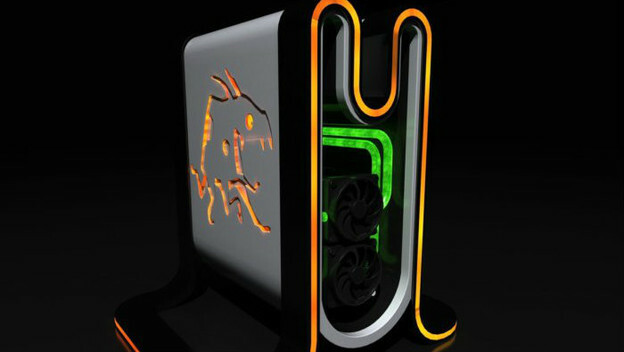 These were supposed to be specialized, Linux-based computers put together by companies with Valve's input that would rely on the Steam interface and act more like consoles than computers. These were revealed in 2013, then faded into obscurity. Given the Mad Box will supposedly be like a "very fast PC 2 years from now" that will support 120 FPS, 4K, have a game engine, "most major VR headsets", it sounds a lot like a Steam Machine. I mean, the preliminary images of it even make it look like a desktop computer. Maybe the Mad Box will come through. Perhaps, instead of an Ouya, it will be more like a Dreamcast. The thing is, people should go into this informed. Know what kind of a company Slightly Mad Studios is and what the track record is like. 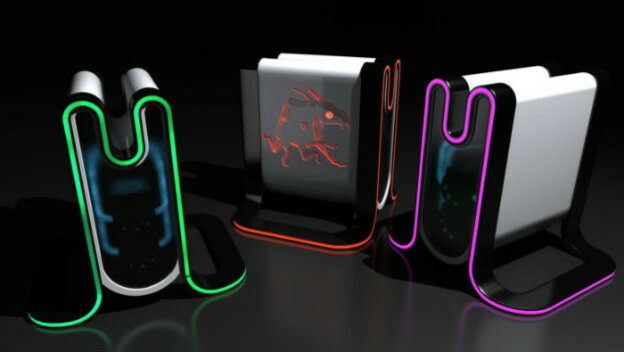 Consider how the Mad Box will compare to the PlayStation 5 and next Xbox, which will undoubtedly be in the wild around 2022. Watch what the price will look like. Think about the games that will be on it. Then, determine if it could be right for you.